This comprehensive program provides you with a thorough understanding of project management by combining the Essentials of Project Management with Mastering Project Management programs together. The Essentials of project management provides a foundation of project management concepts and terminology. The Mastering program focuses on specific advanced topics and takes an in-depth look with some hands-on assignments and exercises. 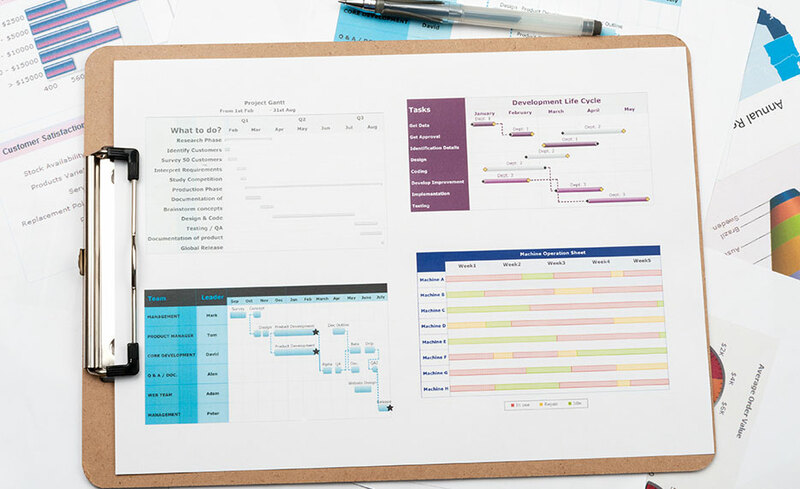 With Project, you’ll apply the project management scheduling concepts learned utilizing one of the most popular project scheduling software tools. The program also combines knowledge of project management scheduling disciplines with the use of the Microsoft Project 2016 software. It truly is a very comprehensive program. This is combined program (“bundle”) consisting of the Essentials of Project Management, Mastering Project Management and Microsoft Project 2016 courses. This program is based on the current Guide to the Project Management Body of Knowledge (PMBOK® Guide), which establishes the international standard regarding the project management discipline. It aligns with PMI’s Talent Triangle® and is also eligible for Professional Development Units (PDUs) for PMP® or other project management certifications. You’ll gain a thorough understanding of how to apply project management concepts, in addition to any specific variations between them. You will learn about project selection, developing project strategies, creating a schedule model, stat using and forecasting, project recovery, and more. Finally, you’ll explore how to automate the estimating and scheduling components utilizing Microsoft Project. You’ll learn how to plan out your work and keep projects on track and you’ll gain confidence and competency through hands-on practice exercises. This program meets or exceeds the educational requirements for those interested in the Project Management Professional PMP and CAPM certifications. This program combines knowledge of project management scheduling disciplines with the use of the Microsoft Project 2016 software. You’ll advance through Microsoft Project 2016 features and functions one step at a time, learning how to plan out your work and keep projects of any level on track using this powerful software. In addition, you will gain confidence and competency through hands-on practice. The Microsoft Project training is designed for beginners through advanced users of Microsoft Project. The Project Management portion of this program is based on PMI’s A Guide to the Project Management Body of Knowledge (PMBOK® Guide), which establishes the international standard regarding the project management discipline. This program meets or exceeds the requirements for those interested in the Certified Associate in Project Management (CAPM®), Project Management Professional (PMP)®, and the Managing Projects with Microsoft Project, Microsoft Certified Professional (MCP) 74-343 exams. Students who are interested in earning the credentials must schedule and pay for the exams on their own after program completion. You cannot use any previously released versions of the Microsoft Project software. This is a hands-on course that calls out specific keystroke commands. Future software (2016+) will include or exclude functions, features and menu options. Additional compatibility challenges will exist with using the required practice files. Nikki Choyce, PMP® has been involved in the project management field for almost 25 years and has worked as a consultant and trainer for much of that time. She is a Project Management Professional (PMP®) and very active in the project management community. She has worked in a variety of industries, including Information Technology, Insurance, Manufacturing, Marketing, Aerospace, Construction, Healthcare and Telecommunications. She has worked with Microsoft Project for over 15 years. Upon successful completion of all three courses with this program, you will be awarded a certificate of completion. 15. I have Microsoft Project 2010 (2013, etc.). Can I use that instead of 2016? No. This is a hands-on course that calls out specific keystroke commands. Each new edition includes or excludes some functions, features and menu options. Additional compatibility challenges will exist with using the provided practice files for the hands-on exercises. Yes, this program meets or exceeds the educational prerequisite for the Project Management Professional (PMP)®, the Certified Associate in Project Management (CAPM)®, PMI Scheduling Professional (PMI-SP)® certifications and the Managing Projects with Microsoft Project, Microsoft Certified Professional (MCP) 74-343 exam.